East Propylon. 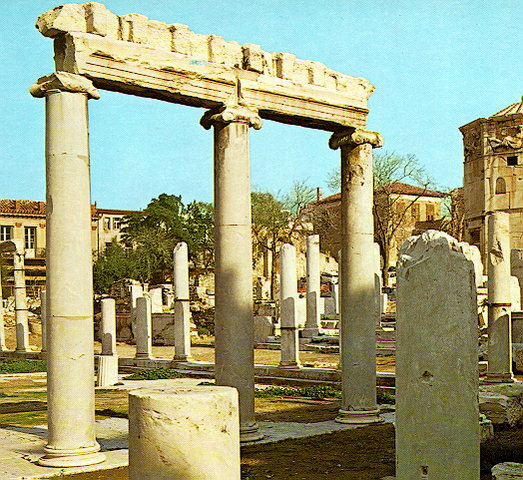 The east entrance to the Roman Agora had a row of four Ionic columns made of gray Hymettian marble. It was built in 19-11 B.C.